Each week, the small class of visual artists (max. 8 people) will meet online for 1 hour and we will discuss and dive into Instagram best practices and tips. You'll also receive ongoing, personalized feedback and tips based on your own Instagram activities, as well as a weekly updates on the latest Instagram developments you should be aware of. Each class will be recorded. So, if you cannot make a session, you can watch it later. You will also be encouraged to participate and ask questions throughout the 4-week period in a private, online discussion forum. 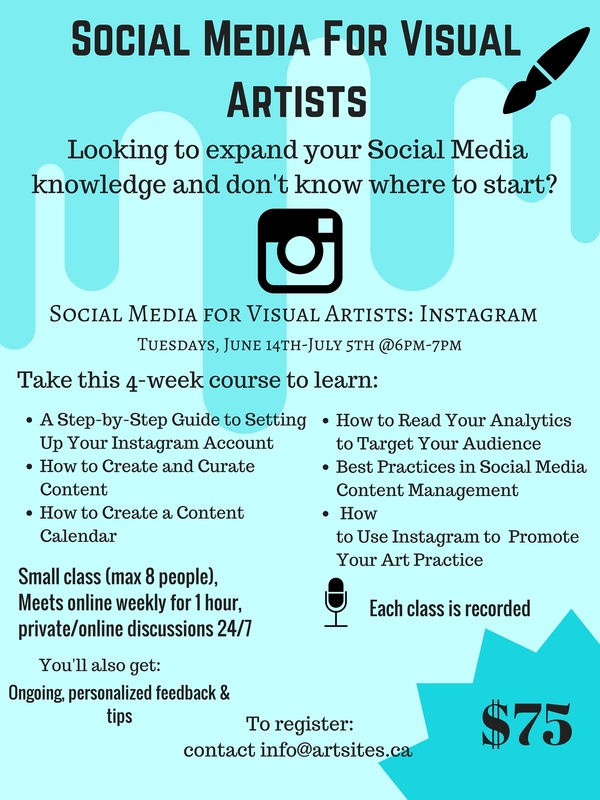 The course is open to ALL visual artists and please feel free to pass along our official course poster to any fellow artists who may be interested! For more details or any questions, please contact us!